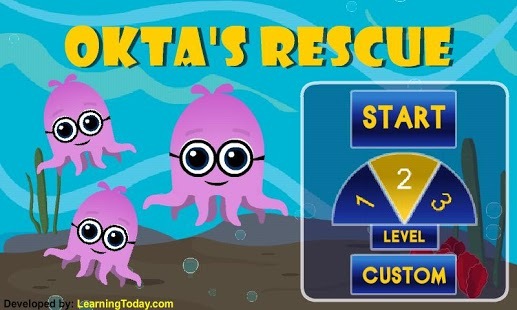 Okta’s Rescue is a fun and bright app that allows children to practise their counting skills. 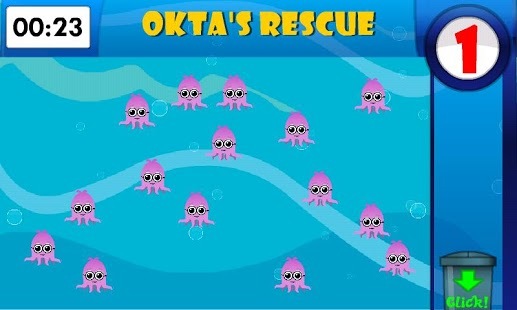 Children must help Okta save his friends from the tank. To do so they need to count the required number of Oktas to transport them to the safety of the sea. Oh, no! 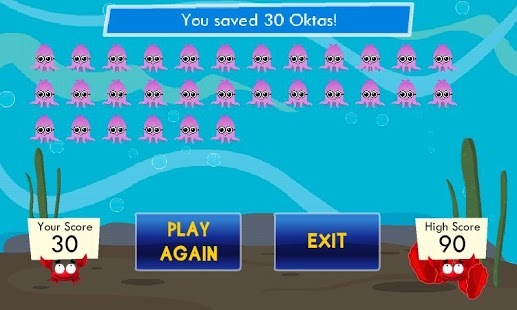 Okta and his friends need help. Help rescue them by transporting them to a safe ocean. How fast can you transport the Oktas? 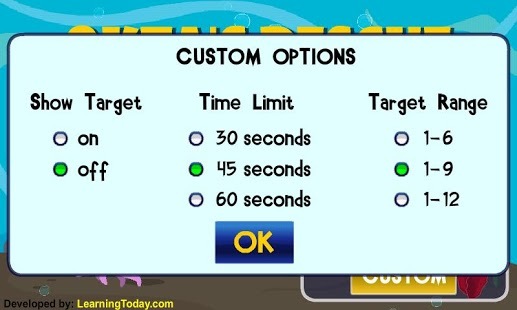 Use your counting skills to save as many as you can before the timer runs out. This app was developed for children in grades preK–2 by Illuminations. It is also available as an online activity along with many other free math resources for children at http://illuminations.nctm.org.